LEADING GPs are calling for an urgent national strategy to curb antibiotic prescribing in primary care, which could include antibiotic prescribing targets, audits of GP scripts and greater use of point-of-care tests. Professor Christopher Del Mar, a GP and professor of Public Health at the Centre for Research in Evidence-Based Practice at Bond University, this week warned that the global problem of antibiotic resistance was approaching “apocalyptic” proportions, such that by 2050 more people would die from currently treatable infections than cancer. Without effective antibiotic prophylaxis, there would be “a return to the pre-high-tech medicine of the 1930s and earlier,” Professor Del Mar said in an MJA InSight podcast, with procedures such as coronary catheterisations, joint prostheses and chemotherapy potentially becoming no longer safe to perform. “We’re rapidly getting to the stage now where we can’t guarantee that there aren’t bugs around which are antibiotic resistant and, therefore, it would be unsafe to do procedures,” he said. He added: “GPs don’t see the antibiotic resistance problems because they all happen in the hospitals, but it’s possible that [we’re] creating the problems by prescribing in the community”. Professor Del Mar and colleagues have written a narrative review in the MJA detailing interventions that could form part of a national strategy to reduce antibiotic prescribing in general practice and alleviate the antibiotic resistance crisis. They continued: “Currently, GPs prescribe 6–9 times the rates indicated by guidelines. This prescription rate suggests the enormous scope for safely reducing prescribing by using the set targets”. Their recommendations, which arose out of a meeting of experts earlier this year, focus on interventions to support GPs in reducing scripts for acute respiratory infections. “For common acute respiratory infections … a wealth of evidence shows that the benefits of antibiotics are small and that not using them is generally safe,” they wrote. They suggested several regulatory interventions, including mandating that GP software defaults to “no repeat” prescriptions for antibiotics, restricting access to several antibiotics earmarked for special conservation and reducing antibiotic pack sizes. They also advocated providing GPs with feedback about their prescribing rates compared with their peers, as is currently done by several NPS MedicineWise programs. In the UK, high-prescribing GPs were sent a letter from the Chief Medical Officer, which resulted in a reduction in prescribing rates, they noted. A more expensive measure, they suggested, was for the federal government to invest in near-patient tests, such as streptococcal tests, C-reactive protein and procalcitonin, to help GPs distinguish between viral and bacterial infections. GPs could also adopt strategies such as delayed prescribing, that is, writing a script but advising the patient not to have it dispensed unless the condition worsened; shared decision making, including using decision aids; and focusing on symptom management to “fill the ‘therapeutic vacuum’,” they wrote. 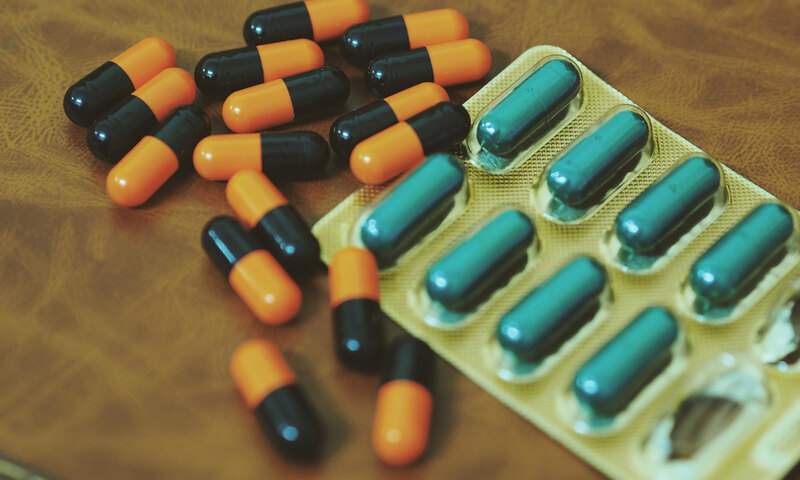 Professor Del Mar said that doctors and patients tended to underestimate the harms of antibiotic resistance because the evidence was indirect. “We’re not at the situation now where you can say to a GP: ‘You prescribed an antibiotic for that patient and then they died of an antibiotic-resistant related problem’,” he said. “Whereas what we do hear about is: ‘You didn’t prescribe antibiotics for somebody and then they died’ … This is slightly unbalanced. One monitoring option suggested in the review was to use sentinel general practices to systematically sample infections or even uninfected attending patients using nasal swabs. Dr Bastian Seidel, president of the Royal Australian College of General Practitioners, said that the college broadly supported the recommendations from Professor Del Mar’s group. “Tackling antibiotic resistance needs to be a priority for the Australian Government and for our profession,” he said. One issue not mentioned in the narrative review was vaccinations. Dr Seidel said that universal vaccination for influenza and meningococcus should be part of a national strategy to reduce antibiotic prescribing. “If we want to reduce antibiotic use for the treatment of complications of infection, we need to properly fund vaccination for everyone,” he said. Professor Del Mar has previously written that he was against universal influenza vaccination because of limited vaccine effectiveness. However, Dr Seidel said that the best practice recommendation remained for everyone to have the influenza vaccine from the age of 6 months, noting that “3000 Australians die every year from complications of influenza”. Professor Karin Thursky, director of the National Health and Medical Research Council National Centre for Antimicrobial Stewardship applauded the narrative review, and said that multiple strategies were needed to reduce antibiotic prescribing in general practice. “The individualised and fee-for-service nature of general practice means that it is harder to implement systemic change across the sector [compared with hospitals],” she said. Even though over 90% of GPs used electronic prescribing, few entered the indication for the antibiotic, she said. Professor Thursky said that judicious antibiotic use should “not be tied solely to the issue of resistance”. “It is first and foremost about patient safety. The right antibiotic for the right indication, the right dose and for the right duration,” she said. Interestingly in the one article GPs are reprimanded for over prescribing antibiotics and then it is admitted that there are no statistics re how many antibiotics GPs are prescribing. There are also no statistics re which particular GPs are over prescribing. Is it the after hours services rather than patients usual GPs?? The article also recommends giving patients a script to get filled “just in case”. At a recent deprescibing seminar I attended this was labelled as been shown to NOT help because people invariably get the script filled but even worse to my thinking it is still encouraging people to want antibiotics. It’s not a government problem it is every doctors problem including our infectious disease experts who could be addressing the media about this issue and educating the community instead of lazily blaming the GPs. GPs are often targets for antibiotic prescribing because of the vast number of patients treated. What is often neglected, though, is that most antibiotics prescribed in general practice are less complex antibiotics in short courses. At the other end of the spectrum, ID physicians are often involved in therapeutic decisions involving more powerful antibiotics through intravenous routes for long periods. Clearly these are for more serious infections, but the potential for complications is also much higher. All of us need reflective practice – not just GPs. If the government would take this problem as serious as it is, it should indemnify all primary care doctors from Claims related to not prescribing antibiotics. I am sure this would lead to significantly reduced prescription rates, doctors would still follow their duty of care but would prescribe less knee jerk AB out of fear of complications and litigation. Without knowing the costs of widespread POC testing, covering this indemnity would probably still be cheaper than introducing POC testing rebates for all GPs. But as long as judges and coroners still chastise GPs for not prescribing AB or even prescribing acc. Guidelines, I cannot see much change ahead…. Maybe someone is barking up the wrong tree here with our GP Amoxicillin and Cephalexin prescribing? Add to that the lack of clear data on our prescribing habits and what exactly are safe and reasonable standards with WHO recommending less than 300 antibiotic prescriptions per 1000 consultations, BEACH showing some 130 per 1000 and our Chief Medical Officer wanting us to go down to below 60 per 1000 GP encounters? As a veterinarian with many years consulting to the livestock industry I would like to correct the belief from Anonymous that meropenem is used in the livestock industry in Australia. The low level of antibiotic resistance in bacteria isolated from livestock species in Australia (for example, https://www.ncbi.nlm.nih.gov/pubmed/28542602), the result of decades of focus on infection prevention and control, high levels of biosecurity, vaccination and other measures, means that there is no need for carbapenems in the livestock industry. Absence of need inevitably equates to no use. The cost of carbapenems and the availability only as a powder for injection also makes it highly improbable that meropenem would be used. And of course there is no carbapenem approved for use in any veterinary species in Australia, further making its use in livestock improbable. In this age of fake news, suggesting meropenem is used is a notable example of fake news, absolutely no evidence, and the real situation needs to be acknowledged. Antibiotic use in livestock in Australia is amongst the lowest in the world (https://amr-review.org/Publications.html) and the Australian livestock microbiome have one of the lowest rates of resistance of public health importance. In the interests of the evidence, let’s concentrate on the truth. Why don`t we freeze the rebate until antibiotic prescribing drops? Why don`t we remove some PIP and SIP payments until antibiotic prescribing drops? Why don`t we cut the after hours rebates until antibiotic prescribing drops? Hmmm. So we`re already doing that. There must be something left that will ruin them. Maybe let their tyres down? I’m not convinced GP’s are the principal problem. From what I’ve seen, it is excessive use of cocktails of antibiotics in hospital wards & ED’s. Yes, educate the patients that a cold does not require antibiotics by all means, that would be very helpful. Yes, be aware of he problem, but the medicolegal aspect of “not treating” is still very real & needs to be addressed. Also, Rheumatic Fever, SBE & Glomerulonephritis were seen on a semi-regular basis in my early practicing career, but not so now…hooray for PVK/amoxycillin (yes keeping it simple & for a shorter course generally works) for persistent sore throats that are clinically not EBV or obviously viral. I have also seen 3 cases of Scarlet Fever this season. Strep throat is real and a concern! I’m sick and tired of “experts” picking on general practice as the easy target and pushing to regulate rather than educate…I guess it is the cheaper option. If a patient, particularly a child, has an infection warranting antibacterial treatment, that patient should be followed up meticulously, even if a visit to the patient’s home later the same day, is needed. If bad enough, maybe even admission to hospital. Guidelines that simply say don’t prescribe for a condition are not useful, We all know tonsillitis often gets better quicker with antibiotics and that it is often not as simple as viral OR bacterial (e.g. tonsillitis sinusitis, bronchitis). Some recognition that patients don’t want to remain miserable for a week when there is an option is needed. Guidelines that give clear criteria on how long to wait before starting them and when its safe to stop antibiotics (e.g. 2 days after feeling better) would likely help. I agree, while Doctors can be sued for practicing good public health, not much will change in some circles. The lack of a medicare rebate that covers a high percentage of the cost of a consultation is also an impediment to review for patients – I use wait and see prescriptions to help reduce out of pocket costs where safe to do so. My impression based on opportunistic followup questioning is that this avoids some scripts being used. I would support a live computerised process at the point of prescribing an antibiotic that collects data for analysis and allows individualised educational feedback. It would need to force entry from a diagnosis list that allowed for the various possibilities and would need to include how long the patient was unwell, any immunosuppression, and a place to provide other details to be useful though. The whole paper addresses the problem of antimicrobial resistance through human and livestock use, clearly indicating that both areas need to address their usage.